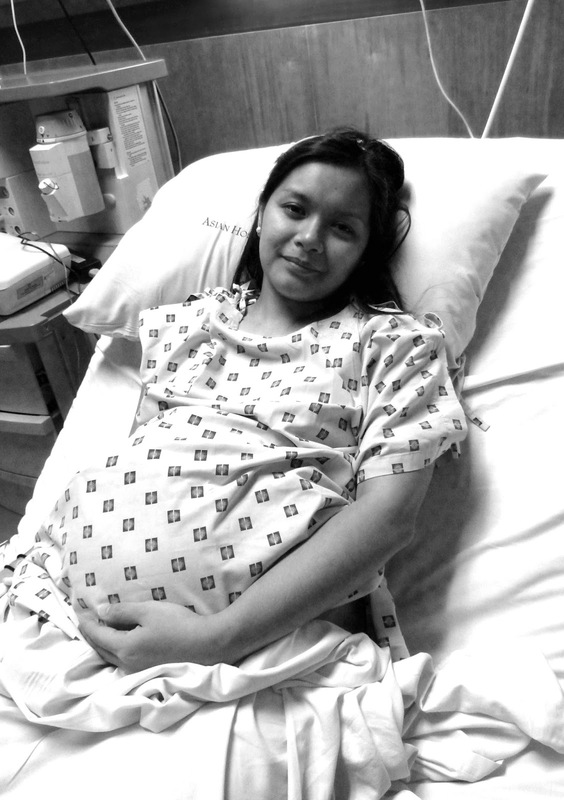 After my water broke, my contractions just got stronger and the pain was excruciating. I remember thinking, I’ve never felt this much pain in my body my whole life. I could literally feel the muscles inside my stomach getting peeled and pulled. But I figured the pain would end in a few hours so I just kept telling myself that I could do this. I wasn’t able to talk or move when the contractions came. And I was teary eyed. My husband would remind me to breathe deeply and concentrate – just like we practiced a few weeks before. It took us a while to leave the house because I really had to stop whatever it was that I was doing while the waves of pain came. And we moved quickly during the rest periods – gathering our things, sending text messages to our family and close friends, and briskly walking outside to the car. I decided to stay in the back seat so I could move around and about while laboring. The ride to the hospital though was grueling. I wished every red traffic light that we encountered would turn green asap. Every time a contraction would come, I would move and twist and find a position that would help me feel less pain. I just couldn't stay still! I would even sink my head into the pillow that we brought along to keep me comfortable. That pillow was my best friend! And when we reached the parking area, my husband and I waited for the next contraction to come and finish before we headed to Genesis, the Asian Hospital's birthing center. I decided to walk with my husband because riding a wheelchair going up will just take longer (at least I can run before the next set of contractions came hahaha!). Once we entered, my husband gave my birth plan and information sheet to the nurses’ station. I was asked to sit in a wheelchair and I did – but then the contractions came again. I was squeezing my husband’s arm so tightly when a nurse came by and started asking me questions. I tried to accommodate her but couldn’t – I was focused on breathing deeply, even closing my eyes from time to time, and just put my hand up as if to say (uh-uh talk to the hand Nurse, there’s no way I am answering those questions right this minute). After the contractions stopped, I finally gave her a reply. I was brought to the labor room shortly after and since it was full of laboring moms, I was wheeled into the first available birthing room. By 12 midnight I was being checked into the very same birthing room where I "labored" with Audrey. And I looked at it first with worry, and then with determination - this time my baby will be born IN THIS ROOM (and not in an operating room!). This photo was taken at 12:07AM. I tried my best to smile in between very painful contractions! When the internal exam was done a bit after 12, I was at 6 cms already. Twenty minutes later I was at 8. Baby Natalie kept pushing down already with each contraction that came and I couldn't do anything but cooperate and push as well! It would be more painful if I didn't. And I read that when you feel the urge to push, you should push each time or your cervical muscles will just give up at some point because they are not being used as they should. So even if my doctor wasn't around yet (she also just delivered another baby at 11 in Makati Med that night), I just did what I was supposed to do. I pushed during the onset of the contractions when I felt like it, even if I was lying on my side with my legs closed (if baby wants out, you can apparently push at any position haha). I just found it very uncomfortable to be hooked up to the fetal monitor, and since my water broke, I also wasn’t allowed to get up and move anymore because of the risk of infection. It just made laboring so much harder. The pressure was now on my back and I had to ask my husband to massage it from time to time. 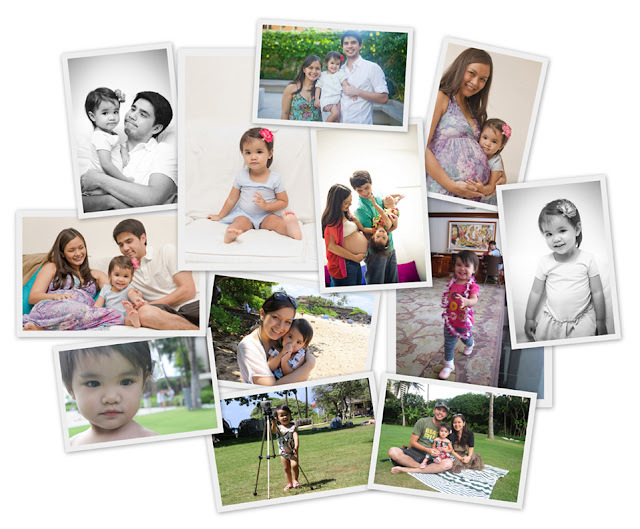 While laboring, my husband would show me a collection of pictures of Audrey and our family. It would serve as my motivation to go on and finish what I started. How I missed Audrey at that time! When the nurses came to the room to check on me, I told them that baby was coming out and they needed to examine me - I could really feel Natalie’s head and knew exactly where she was in my birth canal. I knew she would be coming out very soon. Having no anesthesia just allows you to feel exactly what is happening on the inside. It was so painful and yet so amazing! By 1am I was already fully dilated and Natalie's head was at Station +2 (baby’s head is 2 cms below the pelvic inlet). She was ready and so was I - I couldn't wait to make the big push so the pain would go away and I would already see her! And while I was dealing with the contractions and pushing the baby down some more, a nurse came by to make me sign some papers! (no kidding! her timing was impeccable!) My husband asked if he could just be the one to sign but it was a waiver that only the mother can sign so it had to be me. I just finished yet another contraction, and started signing away. But before I could finish, a strong wave of contraction came and the pain made me throw the pen out of my hand and we watched all the papers fly up and down to the ground. That was the last time the nurse made me sign anything (hahaha!). My doctor came just before I was prepped to push Natalie out. Whew! I felt calmer once I saw her and we went to work right away. When she did an internal exam, Natalie’s head was a mere two inches away from the opening. By 1:30am I was pushing hard every time the pushing contraction came. I honestly couldn’t get the timing at first but the nurses and resident doctor coached me pretty well and I soon got the hang of it. When a contraction came, I would breathe a full cycle of breath deeply, then breathe in again, hold my breath, then push! But when the pushing contraction ends, I stop and rest. I couldn't really talk so I would tap the bars on the birthing bed to signal that a contraction was coming and everyone needed to get ready. That meant not just my doctor, but my husband whose hands I was squeezing the life out of and the nurses who were assisting my doctor and cheering me on. Pushing a baby out was hard work! I have never exerted this much effort using all of the muscles found in my body my whole life! The pushing contractions came every 10-15 minutes so I actually had a bit of rest time which I spent biting into ice chips, wiping my face and forehead with a towel, and breathing deeply but when it was time to get to work I was really serious. I kept looking at the clock and aiming for my goal - baby should be out in an hour! My doctor said that I was doing well but she can only give me until two hours to push. If baby isn't out yet by that time, she will have to give me anesthesia and vacuum the baby out to make sure that my previous C-section scar would not rupture or tear. I honestly had forgotten about my scar until she mentioned it and with even more determination I told myself, I NEED TO DO THIS. I NEED TO PUSH WITH ALL MY MIGHT. I kept repeating this verse over and over again to encourage me. It really worked and made me much stronger physically and emotionally. It was a couple of minutes before 2:30am and when the contraction came I pushed as hard as I could. It was strong enough to let half of Natalie's head out, but not her whole body. My cheerleaders all said, "Baby's head is coming out! Push harder! You can do this!". And then the contraction stopped and I had no choice but to wait and pray that her head would not slide back in. My husband kept encouraging me and saying Natalie is almost out! We're going to see her very soon! We were all in suspense for those few minutes of waiting and then I felt the next contraction coming. This was IT. I pushed like there was no tomorrow and just when I thought I was going to faint, Natalie came out! It was so surreal!!! It really felt like a dream and oh, what a relief!!! I didn't even feel pain down there, just a sting when the baby came out. I had my PRIZE and she was all I could see and hear at that moment. She was handed to me right after she came out - with blood and the cord still attached. I was filled with awe and happiness. I could hear my doctor saying there was a lot of bleeding but her words just faded into thin air... I couldn't believe it. I ACTUALLY DID IT. And now my beautiful baby is really here with me. I looked at her with admiration and tried to latch her onto me. I was just so amazed at what had taken place. Gratefulness to the Lord for what He had made possible just flooded in my heart. I could not thank Him enough for making this happen and for protecting me and my baby. There was no room for fear - just the knowledge that God will see me through - and He saw me through what I would consider my best accomplishment to date. I gave birth to a life in the way that God had designed. It was truly overwhelming and humbling at the same time. Exhausted but happy! 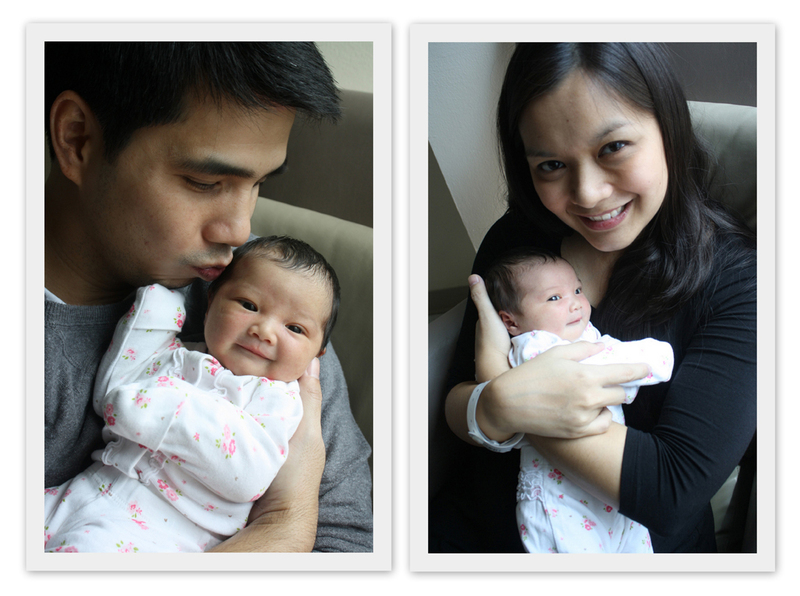 These are some of our photos right after Natalie came out. Good thing Daddy was ready with the camera! Baby Natalie was born exactly on her due date at 40 weeks. She came out by 2:40am and was 7 lbs and 1 oz. She was bigger than Audrey at birth, who was born via C-section. Anything is possible when you put your mind to it. But in my case, my faith played a very integral part. I would not have been as confident in undertaking something like this if I did not know that God would help me and see me through it. I did my part with all that was within my control, but the rest was really up to Him. The Lord is truly good and faithful - He sustained me through it all. I hope that my story has encouraged you to try and go the natural route and not opt for a C-section just because it may seem convenient. Choosing to birth the natural way is always best for your baby - as long as your body is capable and the pregnancy is complication free. Always check what your chances are with your doctor, and make sure he or she is trustworthy and seeks what is best for you. After all, it is your life and your baby's life at stake. You will be the one dealing with the after effects of your childbirth so making an informed decision is very important. Thank you to my husband and coach, Jonsy. I would not have survived the labor pains without your help and support (and arm, I might add hahaha!). I am so blessed and proud of you for staying by my side and seeing me through it all. And thank you to our families (esp Patty and Mic) and friends for keeping us in your prayers, and Chingkee and Mia whose support and encouragement throughout the pregnancy till delivery made me more confident. ang tapang mo! way to go!! i had C-section with my firstborn and VBAC with the second. but unlike you, i had epidural because i'm that person with the lowest threshold when it comes to physical pain. i thought i could bear it but then again, at the eleventh hour, i asked for epi because i thought i would lose my mind. i was begging the nurses and midwives to help me. but i'm still happy that i managed to deliver my baby the natural way. yes, once a cesarian, always a cesarian is not true. It is great to hear you mention the word "PRIZE" in your story in reference to Natalie. 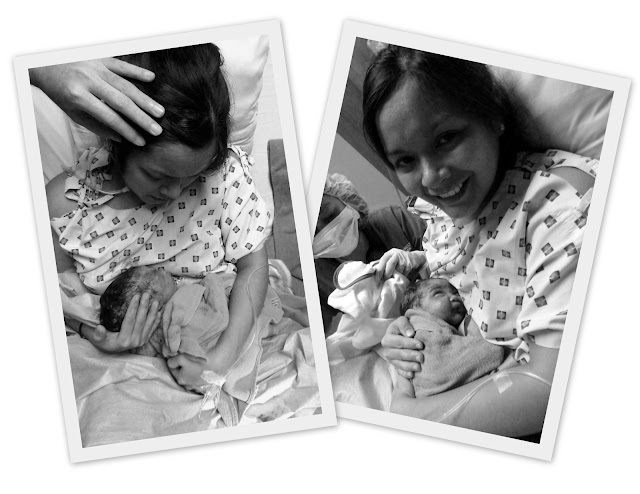 Delivering a baby the natural way does feel like one of the biggest accomplishment a woman will go through. 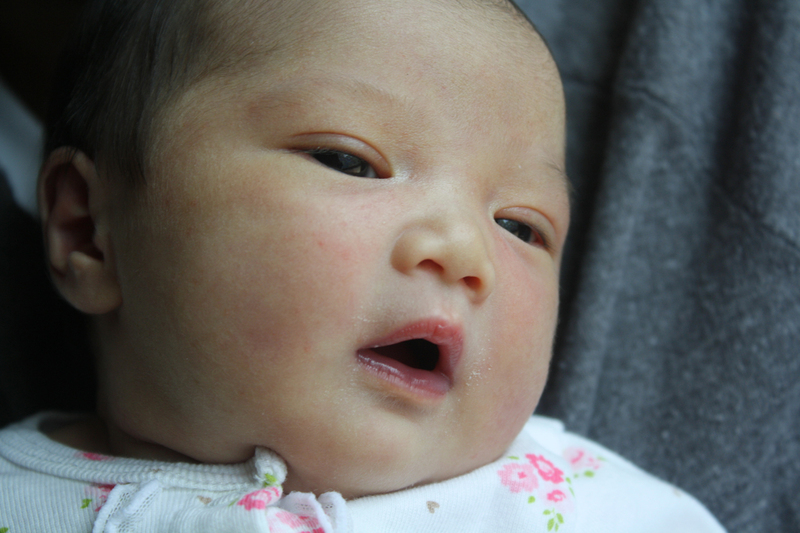 After having my daughter Selah without any epidural or pain killers, it felt like that pain was the most intense feeling I have ever encountered. Even if I felt speechless and spaced out from the pain of childbirth,I have had cortizone shots in the knee that have felt more unbearable compared to the pain of having a baby. Although the pain was present, the bradley method really helped me understand my body and the processes it was going through so that I could mentally endure and at the same time physically endure the labor. Congratulations to you and jonsy for hanging in there for that prize. 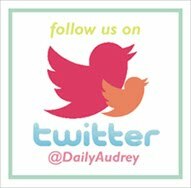 Even if you had that challenging experience with Audrey's childbirth, I do believe God has used all of this for good. You story would not be a complete miracle story without every single detail that happened. You have been blessed with 2 amazing children. May God continue to bless your entire family spiritually, financially, and physically. Thank you for sharing your birth story, truly an inspiration! I am pregnant with my first baby and we are planning a Homebirth. So your desire for a natural birth strongly resonates with me. It is very refreshing to know of and meet mums/couples who put so much effort into researching and knowing their birth options and not just going with what the doctor says. Trusting the strength of our bodies as women, the way God created us. Hi Monica, I have an entry about the Bradley Method which is what I used as a guide to help me achieve a natural drugless birth. You may want to read it in this blog and also see which books I used. Just posted the entry tonight and will be writing more about it in the next weeks as well. Hope your pregnancy is doing well!